Everyone needs a good collection of ‘go to’ dinner recipes for those nights when it’s chaotic and you just can’t spent loads of time in the kitchen. 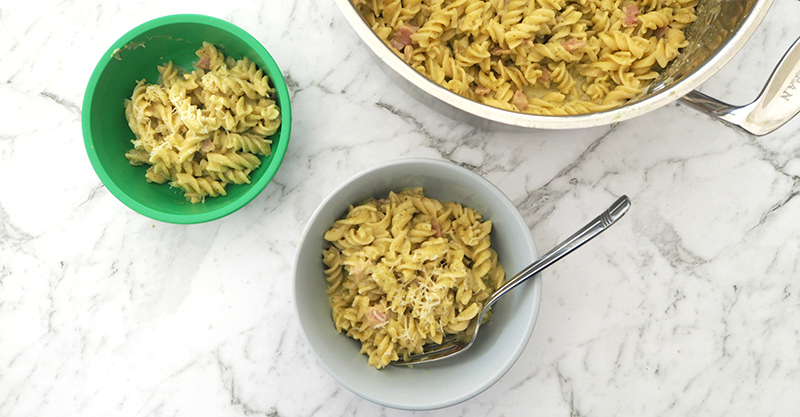 This one pot creamy pesto pasta ticks all the boxes: simple to prepare, basic ingredients and most importantly, your family will enjoy it – plus it has the added bonus of using just ONE saucepan, which means less cleaning up! Chop the bacon into small pieces, crush the garlic cloves and grate the brown onion and set aside until needed – you can even do this in advance and store in an air tight container in your fridge. In a large saucepan, add the olive oil and warm over a medium/high heat. 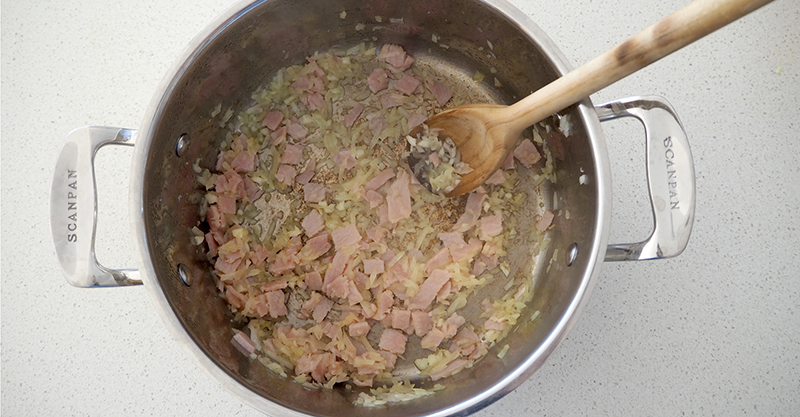 Add the bacon, garlic and brown onion and cook for 3 – 4 minutes or until the onion is translucent. Add the vegetable stock and pasta and stir through to combine. Bring the mixture to the boil before reducing to a medium heat and placing the lid onto the saucepan. 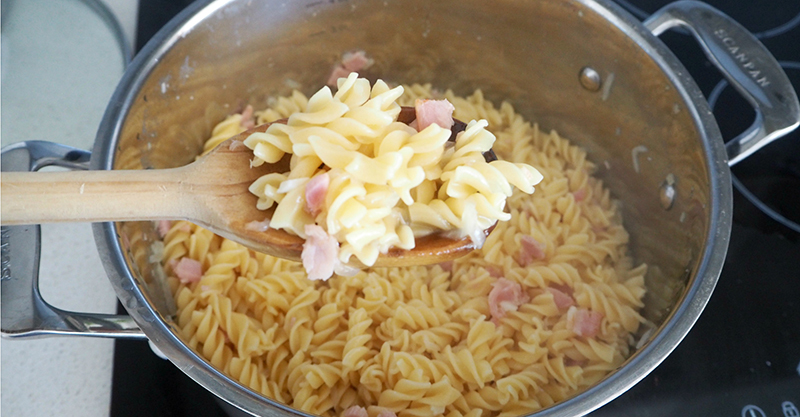 Let the pasta cook for 8 – 10 minutes or until cooked through and most of the liquid has been absorbed. Reduce the heat to low and add the thickened cream, pesto and parmesan cheese. Stir these ingredients through the pasta before replacing the lid and allowing to cook for a further 2 – 3 minutes before serving.